Brittany Fulton has a degree from the University of Oregon in psychology with an emphasis on animal behavior. She also has Certification in Training and Counseling from the Academy for Dog Trainers. Brittany is the owner of Dances with Dogs, a dog training and walking business serving, primarily, northern DC and Montgomery County, Maryland. 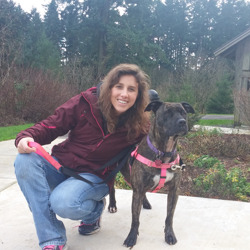 Brittany teaches a variety of classes at the Humane Rescue Alliance Training Center. She enjoys working with clients to address numerous behavioral issues including jumping, pulling on a leash, rushing doors, chewing, digging, barking, house training, and more. She particularly enjoys helping clients with reactivity issues. Of course, prevention training for puppies and adult dogs is also one of her many focuses. Brittany loves contributing to a rewarding human/animal bond through positive reinforcement training. Brittany offers her services to northern Washington, D.C. and Montgomery County, Maryland. However, arrangements can be made to serve other areas as well. Please ask for more information. In the initial consultation, Brittany will discuss the behavioral concern(s) with you. 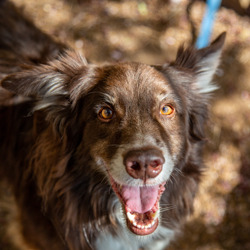 She'll discuss the history of your dog’s behavior(s), and will share with you what she believes is motivating the behavior(s) and what can be done to improve your situation. The first session will cover management techniques and the foundations of the training needed to put into place. Brittany will also recommend the number of sessions she suggests you schedule to accomplish your goals. Please note that almost all behaviors will require multiple sessions. If you believe you require fewer than 3 sessions, each session will be $125.